Hitman GO is a simple to play, but difficult to master turn-based strategy game set in a stunning interpretation of the Hitman universe. You will strategically navigate fixed spaces on a grid to avoid enemies and take out your target or infiltrate well-guarded locations. 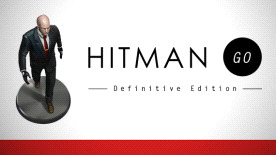 This award-winning, beautifully rendered diorama-style turn-based strategy game focuses on forward thinking to progress through challenging levels and stylish freeze frame environments, to challenge even the most accomplished Hitman fan. ATI™ Radeon™ X700 (256 MB) or NVidia Equivalent (256 MB) or better.